The apartment is subject to some maintenance works and won't be ready before a month. It is located in Ballouny Kesserwan, 75 m from Faraya Highway, 3 minutes from Jardin Publique •	200m² unfurnished penthouse. •	3 Bedrooms •	3 Toilets •	1 parking •	1 mezzanine on the roof. 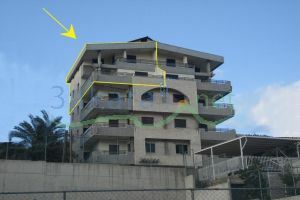 •	Heating system •	Wide large Salon •	Dining Room •	Wide balconies •	Amazing Panoramic 180° view. The monthly hiring rate is 850$ excluding electricity, minimum 6 months period.